A collection of short stories and other miscellaneous writings by Joseph Heller, one of America’s most influential and idiosyncratic writers. 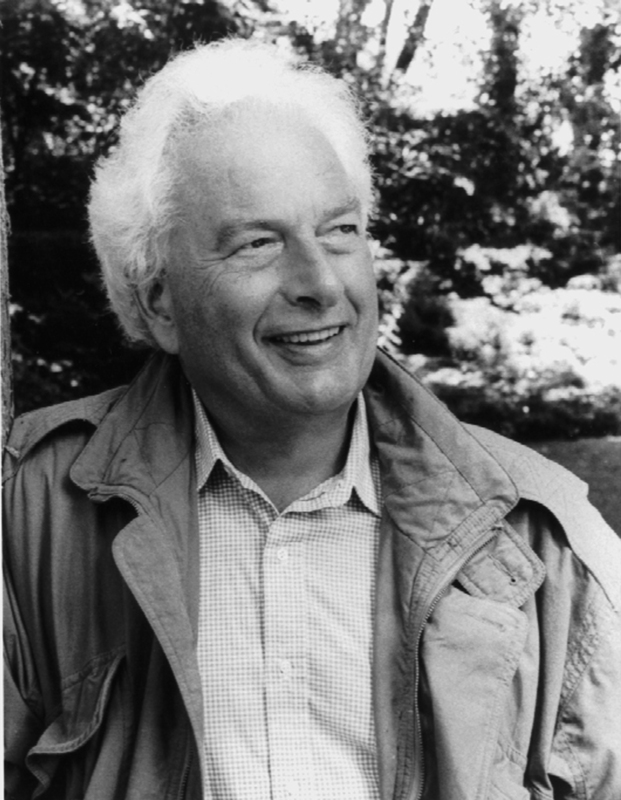 Years before the publication of Catch-22—which was called “a monumental artifact of contemporary literature” by The New York Times, “an apocalyptic masterpiece” by the Chicago Sun-Times, and “one of the most bitterly funny works in the language” by The New Republic—Joseph Heller began sharpening his skills as a writer, searching for the voice that would best express his own peculiarly wry view of the world. In Catch As Catch Can, editors Matthew J. Bruccoli and Park Bucker have for the first time collected the short stories Heller published prior to that first novel, along with all the other short pieces of fiction and nonfiction that were published during his lifetime. Also included are five previously unpublished short stories, most reflecting the influence on Heller of urban naturalist writers such as Irwin Shaw and Nelson Algren. The result is an important and significant addition to our understanding and appreciation of Joseph Heller, showing his evolution as a writer and artist. 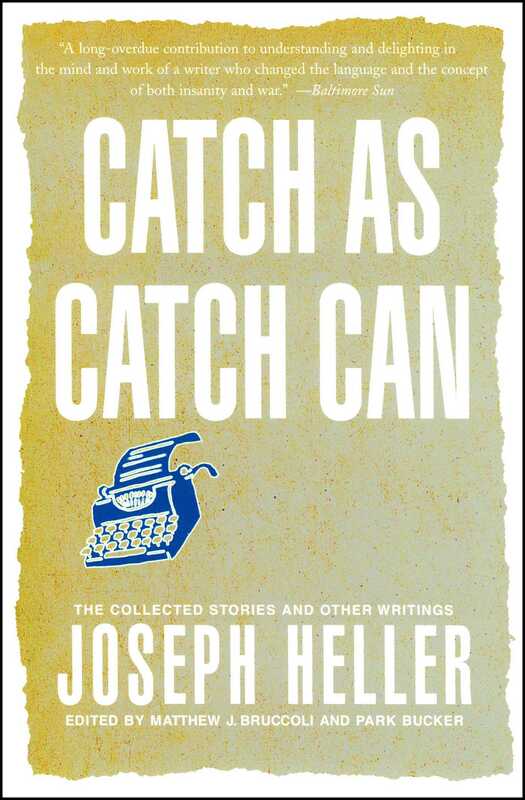 For those unfamiliar with his work, it will serve as an excellent introduction; for everyone else, Catch As Catch Can is a chance to explore a new aspect of Heller's remarkable career. Joseph Heller is twenty-two years old, born and educated in Brooklyn, New York, and, after three years of service in the Air Corps, is planning to enter the University of Southern California. He says, "I was stationed on the Island of Corsica with a B-25 squadron of the Twelfth Air Force and flew sixty combat missions as a bombardier, earning the Air Medal with seven oak-leaf clusters and a Presidential Unit Citation. I was discharged from the Army in June under the point system and have been comfortably rehabilitating myself ever since. At present, I am busy trying to get a play produced." She stood in the center of the room, her arms folded across her ample bosom and he could almost see the fires of anger flickering within her. She was doing her best to control them. "You aren't being very considerate, you know," she said quietly. "I know," he replied, "I'm sorry." "I don't believe you are sorry," she said. She waited for him to answer but he remained silent. "Are you?" She didn't answer him immediately; she didn't know what to say. It wasn't working out right. He had been home three days now and it was getting worse. The first day they had been uncomfortable, very cautious and considerate, feeling each other out as prize fighters do, not being themselves at all, and hoping to pick up the thread of happiness from where it had been dropped almost a year ago when he left. The second day should have been better, but it hadn't been. She was still considerate, too much so, and he found that something in the routine was getting on his nerves and making him bitter. And now they were quarreling; not yet, but he could see it coming because he was deliberately bringing it on. He was being cruel purposely, not really wanting to be, but nevertheless deriving some perverse pleasure in seeing her unhappy. He had been thinking about her for ten months, thinking about how nice it was going to be when he got back to her, and now he was back and it wasn't nice at all. He fingered the Chinese puzzle in his hands unconsciously, two metal rings, and without being aware of it, he deliberately thwarted himself each time from separating them. He caressed them with his hands, enjoying their cold firmness as he waited for her to speak. "Harry and Edith are coming over," she said finally. "Will you put some clothes on?" "What do you want?" she implored. He looked up at her while he thought it over. He was lying on the davenport completely naked except for a pair of shorts he was wearing, his thick, close-cropped hair uncombed and wisps of it standing out in all directions. He drank in the sight of her as she stood with her arms folded and he wondered why he had ever married her. It was her build, he decided. She was tall, taller than average, and everything about her was big, but she was put together in excellent proportion and was well rounded so that she possessed a strong physical attraction. "I don't want to meet anybody," he said. He hadn't left the apartment since he had arrived. "I don't want to meet my family or your family, or any friends. I don't want to sit in a room filled with people who are all beaming at me as if I were some marvelous mechanical toy, and play the modest hero. I don't want to tell anybody what it was like and smile shyly as they tell me how wonderful I am." She unfolded her arms and let them fall to her sides. She moved a few steps toward him. "What do you want to do?" she asked. "Just what I am doing now," he said. "I want to lie here relaxed and comfortable and drink beer. Will you go downstairs and get me a pitcher of beer?" "I will not," she said indignantly. "I'm your wife, not a servant. What did you marry me for? It would have been cheaper to hire a maid." "I know," he said. "I married you because it was part of the dream." "It hasn't been easy for me," she said, and asked, "What dream?" "The sugar and tinsel dream of life," he said smirking. He didn't want to smirk but he left the expression unchanged. "The Reader's Digest beautiful panorama of a beautiful life. You were a pretty girl, I was a good-looking boy; we are both just a trifle oversexed, so we got married. It was the thing to do, wasn't it?" "I'm doing my best," she said plaintively. "If you would only tell me what you do want, perhaps I could be more of a help. I know that you are disappointed but I don't know why. What did you expect to find?" "I want to do what I want to do," he said. She refolded her arms. "That makes sense," she said bitterly. "That makes a lot of sense." "You don't understand," he said in a patronizing voice, still fumbling with the puzzle. "I want to do what I want to do when I want to do it. Is that better?" "I'll try to break it down for you. If you miss some part of it let me know and I'll repeat it. Right now I want to lie here exactly as I am doing. Two hours from now I may want to go to the Stork Club. I don't know. While I am there I may want to sing aloud at the top of my voice, but right now I want to lie here without any clothes on and drink beer." "You know it hasn't been easy for me." "I know it hasn't. I'm sorry." She walked to the side of the room and sat down in an armchair, once again not knowing what to say next. She didn't want to surrender to the anger that she was trying to repress, but she could feel it swelling within her as if it were something having physical dimensions. "You've changed," she said softly. "I know," he said. "You've said that several times before, but it's the truth." He waited for her to reply but she made no motion to speak. "I don't like George Gershwin any more," he said, "so don't feel too badly about it." Now he was becoming brutal, and he could feel himself filling with self-contempt for it. He knew what she would say next and he felt a glow of pride as she obliged him. "What does George Gershwin have to do with it?" she asked. "I used to think about his music all the time. How much I missed it and how when I got home, I would sit down and listen to him for hours. Well, I got home finally, and I listened to his music and I found that I didn't like it." "I don't see it," she said. He turned on his side so that he could look her fully in the face. "It's the same way with you, Anne," he said slowly. "I don't love you any more." She sat up quickly as if the words had slapped her across the face. "That's not true," she said. "No, it isn't," he said. "But I don't. That's the way it is and as long as it is that way, we might as well face it now. There isn't any point in dragging out something that is unpleasant. The kindest use a knife because the dead soon grow cold." He studied her features to see if she was going to cry and he saw that she wasn't. He noticed it with disappointment. He became conscious of the rings in his hands and he grated one against the other mechanically as he waited for her to speak. "That's nice," she said. "That's very nice." "Do you want a divorce?" she asked. "No," he said, "I don't want a divorce. I have been leaning upon you for support too long a time. Psychologically, I am dependent upon you." "Good God!" she exclaimed in desperation. "Then what do you want?" A mischievous smile played with his mouth. "A pitcher of beer," he said. She rose to her feet and walked from the room. He turned over on his back and stared at the ceiling, feeling unhappy, wanting something and not knowing just what it was. He heard her come back into the room, but he continued to lie there without moving. "Will you please get dressed?" she said. "We'll talk about it some other time." "Harry and Edith will be here soon. I can't very well entertain them in the hallway." "Send them in." He turned to his side and looked at her. "I'll see them." "Put some clothes on, then. You're naked." "Harry and Edith have been married for five years. If she isn't familiar with the anatomy of the male by this time, then she has been missing a hell of a lot and it is my duty as a friend to enlighten her." "Will you at least put a robe on?" she asked. Her voice was low and her words were carefully pronounced, and he could tell that the break was soon coming. "No," he said. He turned over on his back again and looked down at the puzzle in his hands, watching her carefully through the corner of his eye. She stood motionless for a few seconds, looking at him. Then she let a long, loud breath escape her and her mouth formed a resolute line. She turned and walked to the clothes closet. "Where are you going?" he asked. His tone wasn't smug any more. It quivered with alarm. She didn't answer. She removed her coat from the closet and put it on. She opened her purse, fumbled inside it, and withdrew a bankbook. "Here is your money," she said. She set the bankbook down on a table and left the apartment. "Damn!" he said explosively. He heard a slight click and he looked down at his hands. The rings of the puzzle had come apart. He sat up. "Oh, hell, what's the matter with me!" He rose from the davenport and walked into the bedroom quickly. He sat on the edge of the bed and put his socks and shoes on. He went into the bathroom and washed his face and combed his hair. He didn't need a shave. He returned to the bedroom and finished dressing, fastening the buckle on his blouse with a strong tug. Then he went to the phone and called her mother. "I think Anne is on her way over," he said. "Will you tell her to call me as soon as she arrives?" "No, nothing is the matter. I have to speak to her. Tell her to call me as soon as she gets there." "Nothing is wrong. I just want to talk to her as soon as she gets there. Before she does anything else. Will you tell her? It's very important." "You won't forget, now. As soon as she gets there." "All right, I'll tell her." The doorbell rang a moment after he hung up. It was Harry and Edith and they flurried about him as soon as he opened the door, Harry shaking his hand and pounding his back, and Edith coming to his arms and kissing him, both of them gushing with questions which they gave him no time to answer, and he knew that he was glad to see them. They moved into the living room and even before they were seated they were asking the questions he knew they would ask and he found a joy in answering them. It was many minutes before either of them noticed Anne wasn't there. He hesitated an instant. "She's over at her mother's." "Listen," Harry said, "we canceled our bridge appointment as soon as Anne phoned us. We're going on a party and you're coming with us." They looked at him strangely. "You and Anne." He rose to his feet. "Anne isn't here," he said. "We had an argument and she left." They started to speak and he cut them off. "I don't think she'll be back." They were silent for a few moments as the surprise seeped in. "It isn't anything you can't patch up, is it?" Harry asked. He noticed that Edith was looking at him queerly. "I don't know," he said. "I don't think so. I hope not. You two go out on your appointment. I'll try to straighten it out. I'll call you tomorrow, Harry." "All right," Harry said, his exuberance gone. "Look, don't be foolish. It isn't any of my business, but use your head whatever you decide to do." "I will, Harry," he said. "Thanks. I'm sorry I had to spoil it. I never was much as a host." "That's okay. I wish you would patch it up. I'm rather fond of both of you." "I'll try," he said, and they rose to leave. They walked slowly to the door. Before they could reach it, the latch clicked and the door opened. Anne came in, backing into the room at first so that she did not see them immediately. When she turned, they saw that she wore an angry, inflammable look. For a moment she stared at Harry and Edith in surprise and then her face softened as she noticed them looking at her, and saw him standing there beside them, looking smart in his finely cut uniform with his hair combed and his face shining and wearing a sad apologetic smile. She saw him grin like an erring schoolboy when he noticed the pitcher of beer in her hands, and she smiled sheepishly. The San Diego Union-Tribune Read this collection chronologically to appreciate Heller's growing command of tone and plot. Or dip in and out to sample his variety, which encompassed theater..., stories of romance, violence and heroin, travel writing and the memoir. He was so versatile that he could have concentrated on any one of these genres.